The star-studded world premiere of a north-east director’s new movie has taken place at the London Film Festival. Actors Steve Coogan and John C Reilly both wore kilts on the red carpet on Sunday to celebrate their roles in the new film Stan & Ollie. 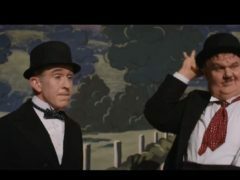 The show must go on for Laurel and Hardy in the first trailer for biopic Stan & Ollie, starring Steve Coogan and John C Reilly as the comedy duo. A North-east film director is teaming up with Steve Coogan and John C Reilly to bring the life of comedy double act Stan Laurel and Oliver Hardy to the screen.